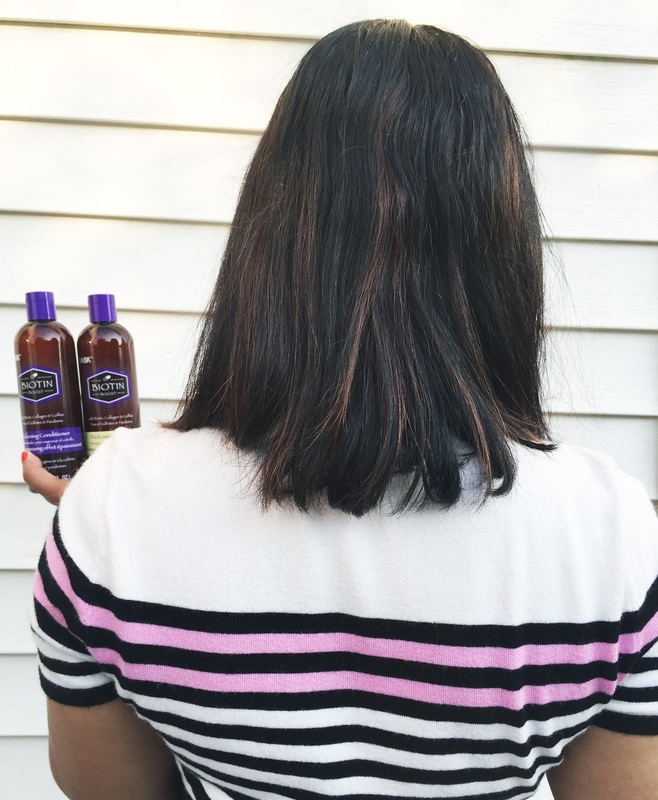 Today I'm back to talk about a new haircare discovery that I just had to share with you! 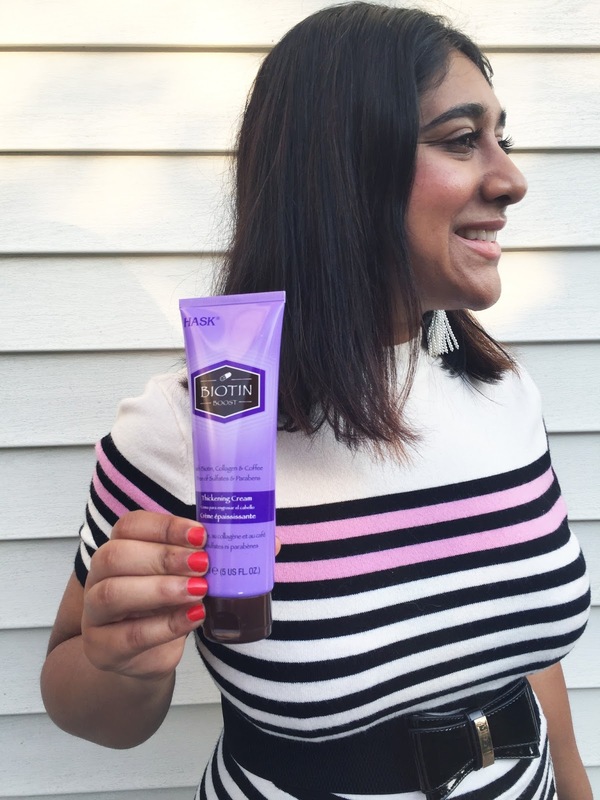 And of course it's by one of my favorite brands, Hask Haircare (you can see my other Hask reviews here, here, and here!) 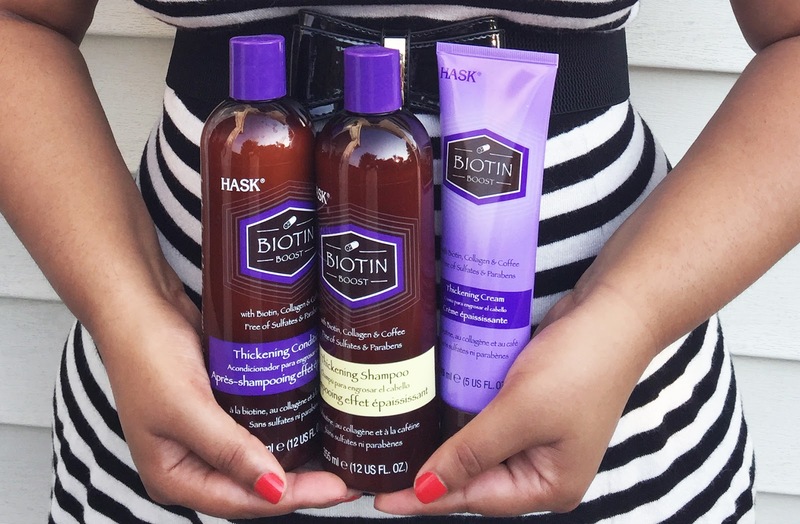 If you've been wanting thick, voluminous hair this new Biotin Boost Thickening Collection is definitely for you. 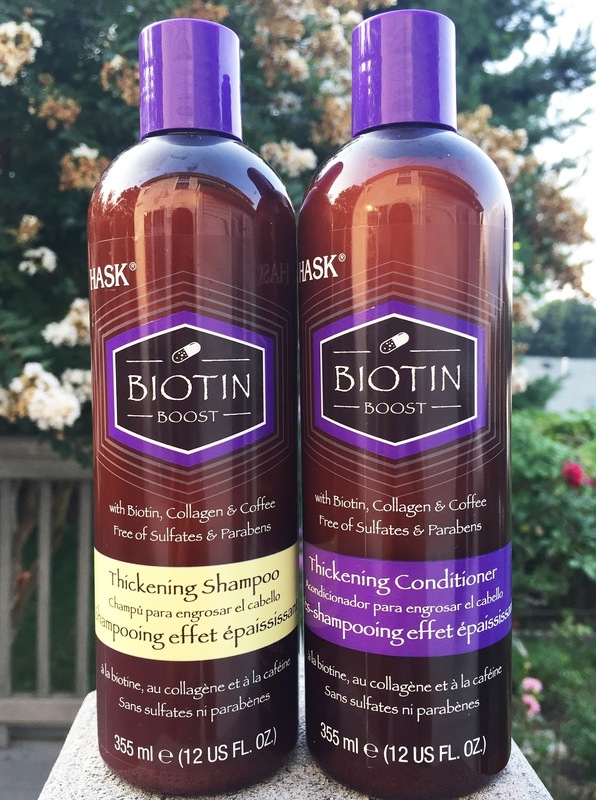 The Biotin Boost Thickening line has 3 key ingredients - biotin, collagen, and coffee, which help strengthen, thicken and fortify hair. They are also free of sulfates and other unwanted ingredients. The shampoo and conditioner were just as amazing as I hoped they would be. The first thing that caught my attention (and maybe my favorite thing about this line) is the scent. It smells so amazing. My hair felt and looked fuller after use. The cream was a great finishing touch to the line. It's best to start off with a small amount and add more if needed. I straightened my hair after using the shampoo and conditioner and topped off with the cream. When all was said and done, I was left with some added volume and bounce to my hair. It didn't do much to help with my frizz, though it has been very humid here. My hair was soft and shiny with no crunchiness. My hair is medium thick (that's a thing, right?) and it worked for me. I've also heard that it works on thin hair, so this can be used on all hair types. I say this about every Hask product I try (because they really are that good) but I will definitely be purchasing these products again! 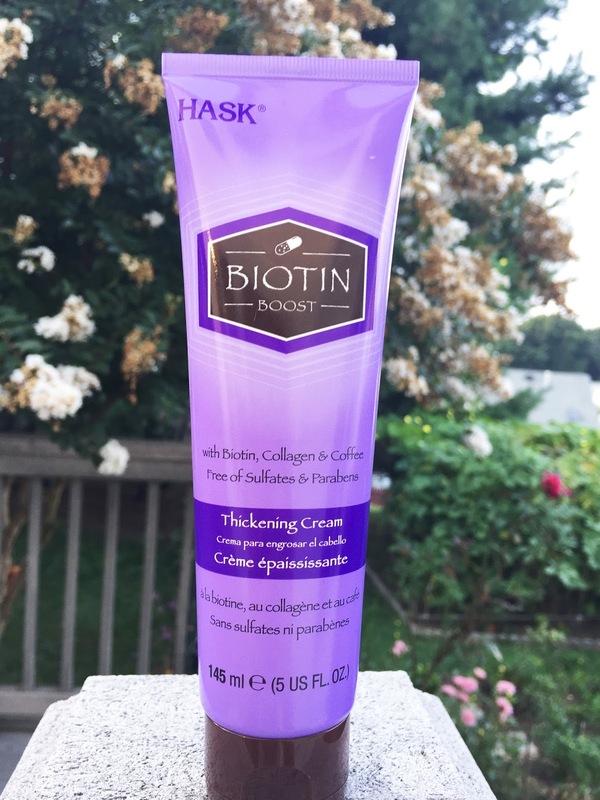 Have you tried Hask yet? I received these products complimentary from Hask in exchange for an honest review. All opinions shared above are my own .